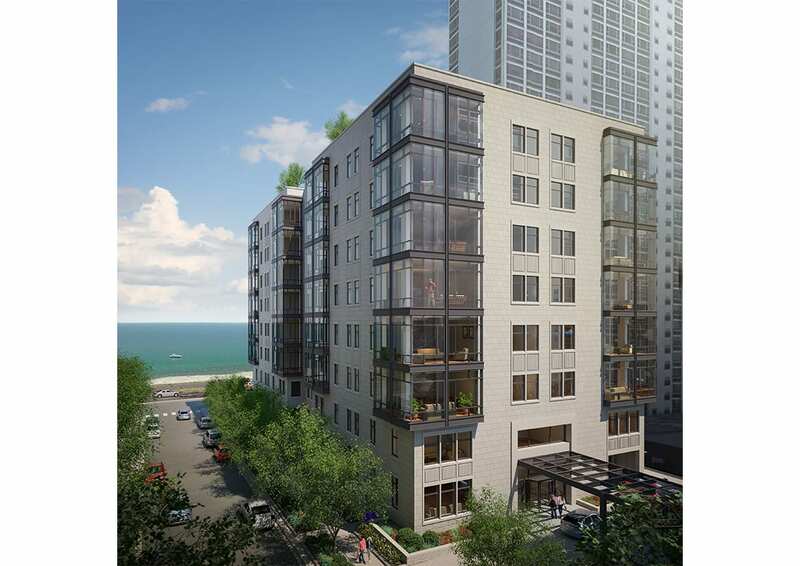 Located along Lake Shore Drive in Chicago’s Gold Coast, the 61 E. Banks development emphasizes visual connectivity to the lake. The neighborhood is distinguished by prominent and enduring residential architecture, often built of stone and brick. 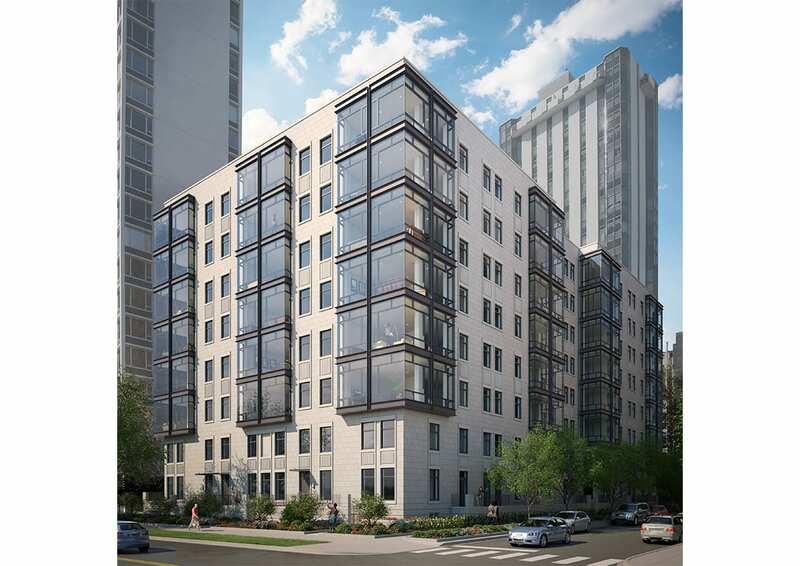 This development expands on that theme, punctuating its stone façade with modernist steel and glass bays. 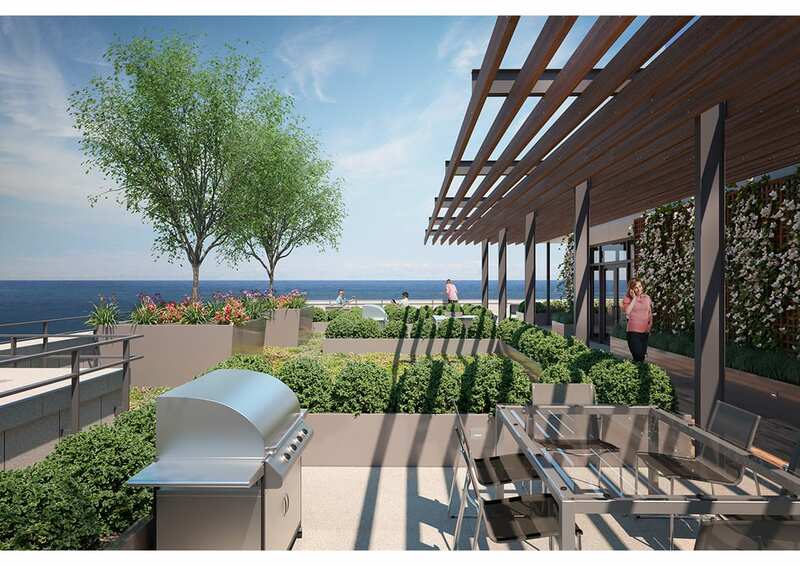 These bays contain living rooms and shared spaces in each unit, framing uninterrupted views of Lake Michigan. 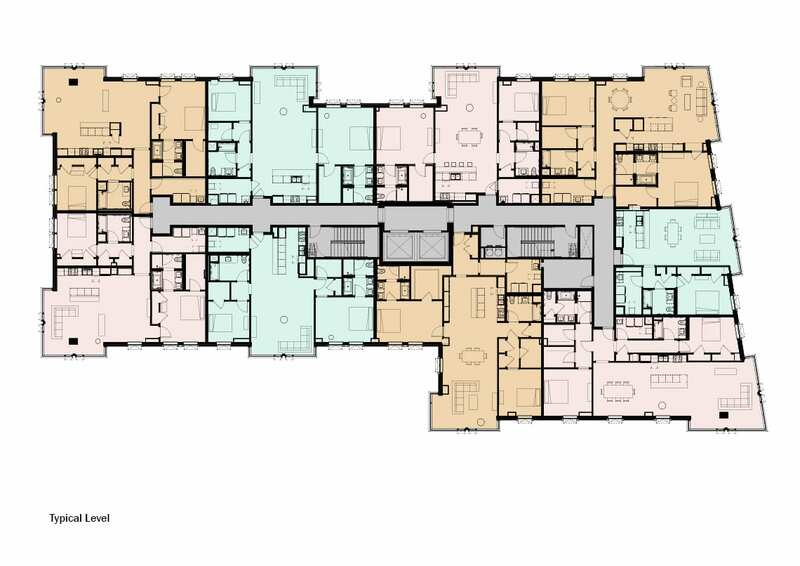 Sixty-one rental units are arranged throughout the building with various layouts available. 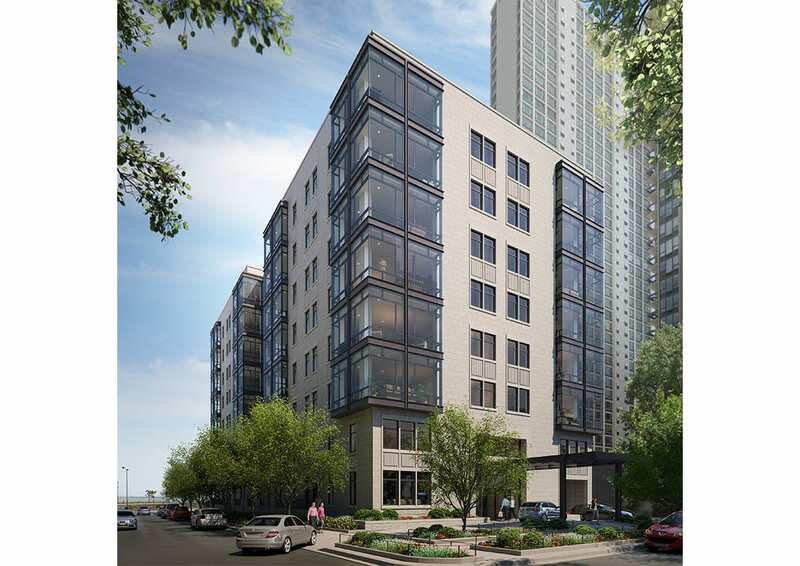 The first two levels offer two-story townhomes with direct access to the street, as well as parking and valet service; the upper floors house one, two, and three bedroom apartments, a shared fitness room, and storage area for tenants. 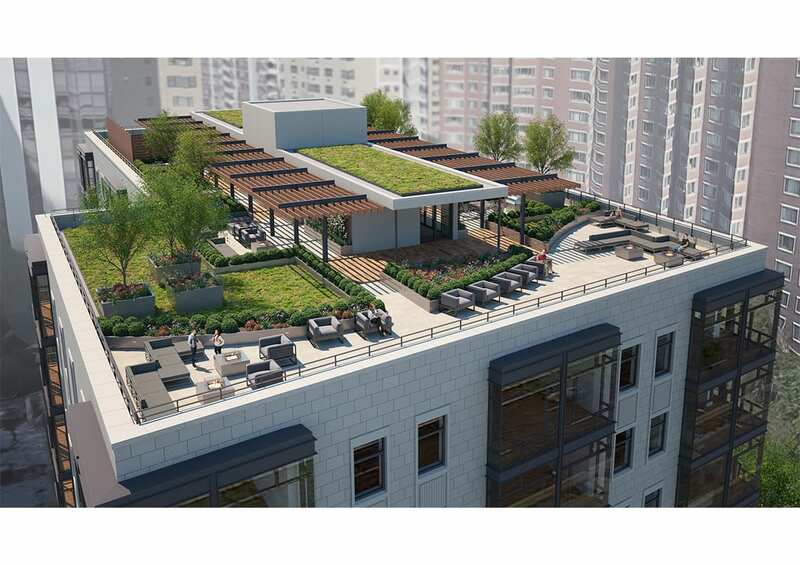 On the roof level, an occupiable roof deck provides shared social space and is over 50% planted. 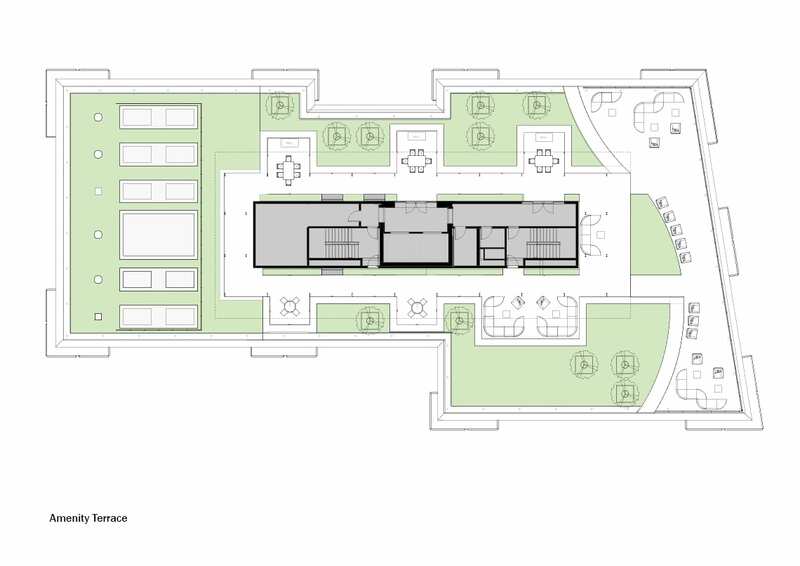 The contrast between the stone façade and the glass bays captures the spirit of the project, and by extension the neighborhood: the insertion of modern life into a traditional, historic framework.